The last time we posted something about breakfast, it was back in September. We really don’t mean to slight breakfast, but it’s hard to focus on something that we only put effort into 1-2 days a week, if that. In a perfect world, we would wake up earlier, make something filling and nutritious every day, and have lots of great breakfast ideas to share with you. But in the non-perfect world, we wake up, take a shorter walk than we should, make coffee, get ready, and run off to work, where, on a good day there’s a granola bar waiting. On a great Saturday though, we have a lot more power to get closer to that perfect world. On a recent Saturday morning, after sleeping in a bit and making coffee, we started foraging our kitchen for something good for breakfast. 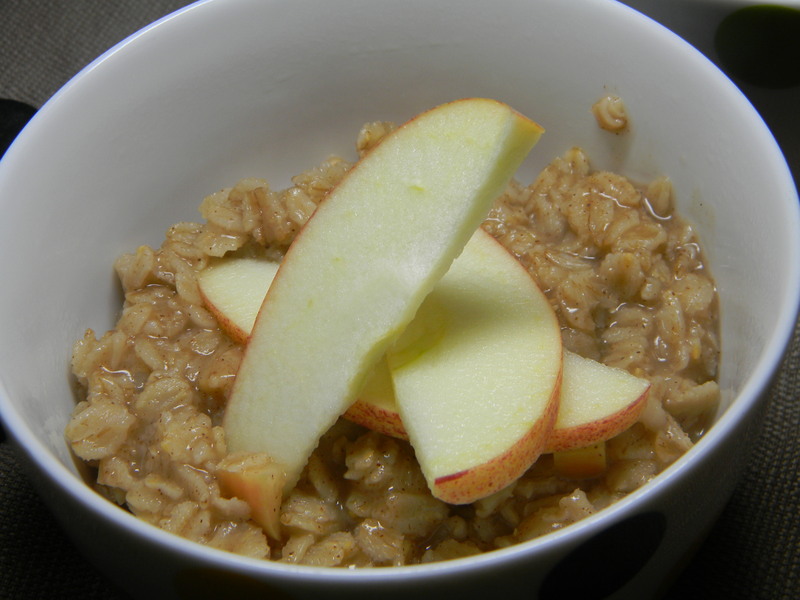 We have oatmeal that we use for baking, but rarely do we actually use it in its most basic breakfast form. Based on everything else we found, though, we came up with some ideas for a great tasting, nutritious, and filling that breakfast that was a perfect start to a fun Saturday.